How well do you know your Janome? Are you wanting to learn a new technique, or learn to use that foot you have been thinking about? While attending our Janome Sewing Club you will learn so much. We meet the third Monday of the month. 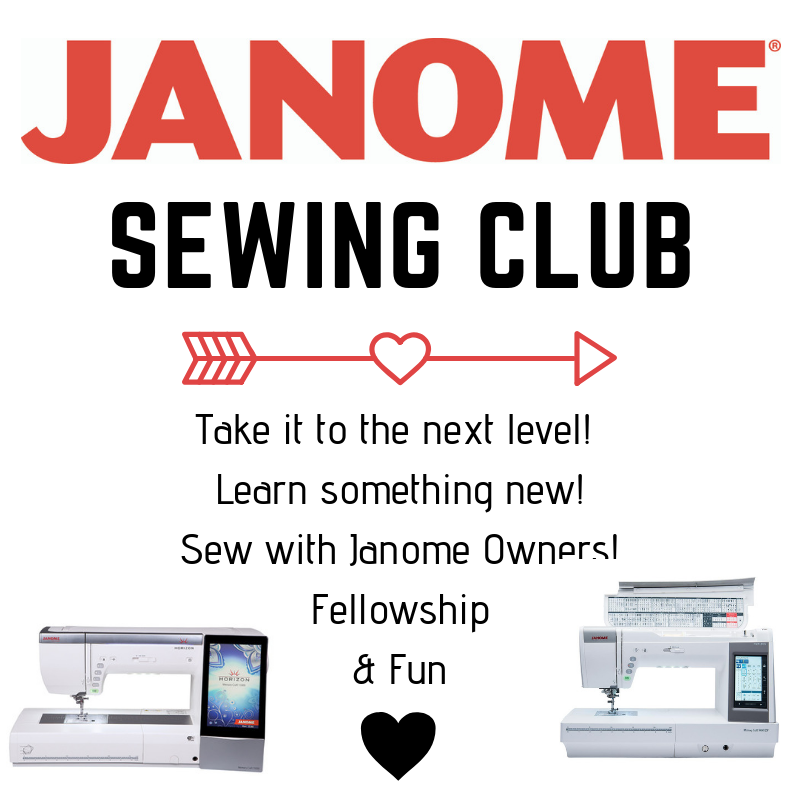 Join the Janome Sewing Club to broaden your knowledge and make new friends! Meet with other Janome owners once a month for fun, fellowship and the opportunity to learn new things about your machine while sewing at our Happy Place. Gigi will demonstrate a different foot each month, maybe teach a new technique, or explore a special feature. We will spend part of the day learning and the rest of the time you can sew on your own projects and we will be around for any questions. Your membership entitles you to 20% off Janome accessories, stabilizers, and embroidery threads on club dates only.